Sakura Kaigo (Thailand) Co., Ltd. (hereinafter referred to as “Sakura Kaigo”) hereby establishes the following stipulations pertaining to the handling of private information in the possession of Sakura Kaigo, based upon Japan’s Private Information Protection Law and related laws and ordinances, the guidelines and policies determined by Japanese government ministries pertaining to these said laws and ordinances, and private information protection management rules and other designations determined by Sakura Kaigo. Sakura Kaigo hereby sets forth the following basic policy pertaining to the handling of private information. Purposes for use of private information shall be specified, with notice provided to the parties in question upon acquisition of such information. Parties in question shall be informed of the sphere of users of private information, with the consent of such parties obtained as deemed necessary. A thorough system of control shall be adopted to prevent the divulgence of private information. Private information shall not be used for objectives outside of the stated purposes. Private information shall not be obtained in an illicit manner. (1) Private information acquired by Sakura Kaigo shall be used for the purpose of supplying products, parts, services, technologies, know-how and other entities in the possession of Sakura Kaigo and Sakura Kaigo group companies (hereinafter referred to as “Sakura Kaigo group”), while notice shall be given of the use purposes at the time of acquisition. Specific use examples include the following types of cases. Sales activities to supply instructions or proposals concerning products or parts handled by Sakura Kaigo group, as well as other information concerning Sakura Kaigo group products. Service activities to furnish trial runs, maintenance, training and other support for Sakura Kaigo group products to customers of those products. Introductions of technologies or know-how pertaining to analysis in the possession of Sakura Kaigo group, and consulting activities for the supplying of solutions for research and development, quality control and other phases. (2) Private information in the possession of Sakura Kaigo prior to the enactment of the Private Information Protection Law (prior to March 31, 2005) shall also be used for the aforementioned purposes. Private information in the possession of Sakura Kaigo shall be used only by Sakura Kaigo. This stipulation shall not apply, however, in the following cases. There may be cases of shared use of private information by the Sakura Kaigo Group for the purpose of supplying products, services, technologies, know-how and other entities handled by the Sakura Kaigo Group. The Sakura Kaigo Group shall consist of the following. Sakura Kaigo Group Co., Ltd.
Sakura Kaigo (Thailand) Co., Ltd. When engaging in shared used with these Group companies, notice shall be furnished of the intended purpose of those uses at the time that the said information is acquired. Moreover, shared use information shall consist of the same categories as those acquired by Sakura Kaigo, with the persons responsible for information management at each Japanese domestic Group company to consist of the private information protection manager and the head of the department in charge of general affairs. Pertaining to the overseas Group, Sakura Kaigo shall act as the headquarters in undertaking management and supervision aimed at preventing information divulgence or other developments. There may be cases when Sakura Kaigo supplies private information to sales companies in the Sakura Kaigo Group or that handle Sakura Kaigo Group products, with the purpose of supplying products, parts, services, technologies, know-how or other entities handled by the Sakura Kaigo Group. When engaging in such third-party supply, notice shall be furnished of the purpose of the supply at the time that the said information is acquired. In addition, guidance shall be furnished to the recipients of such information to establish management systems equal or superior to the level of the systems in force at Sakura Kaigo. Sakura Kaigo may engage in outsourcing to sales companies, dealers, special agents or other entities with the purpose of supplying products, parts, services, technologies, know-how or other entities handled by Sakura Kaigo. Procedures for Private Information Disclosure, etc. 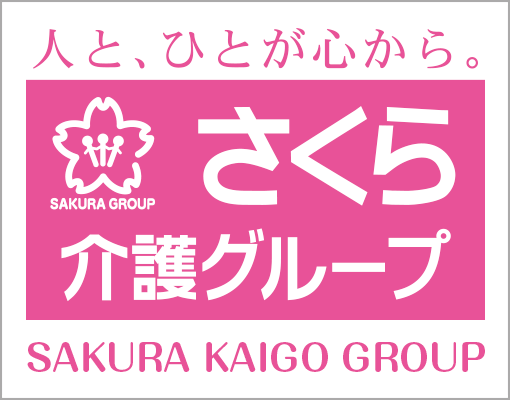 (1) With regard to private information in the possession of Sakura Kaigo, parties wishing to be notified of the use purpose, or that wish to disclose, correct, make additions to, delete, terminate the use of or erase the contents of the information, halt the supply of data or take other actions are requested to direct such requests to the Sakura Kaigo group manager with which they do business, or to the manager of the private information protection inquiries desk (see below). (2) Of the aforementioned requests, please be aware that notification of use purposes or disclosure of information contents shall require responses to the following matters. Copy of personal identification attesting that the requesting party is in fact the party in question or an official representative of that party. A document describing the details of the specific request (the format for such information shall be provided by Sakura Kaigo). Agreement to grant a period of time necessary to respond to the request in question, not to exceed two (2) weeks. Payment of the value of the actual expenses required for responding to the details of the requests in question. (3) Please be aware that there may be cases when it proves impossible to respond to such requests, including instances when responding to the requested details is in violation of the law, cases capable of resulting in conspicuous impediment to the business operations of Sakura Kaigo, cases when it is deemed that no need exists for such responses in accordance with laws or regulations or under other circumstances. (1) Sakura Kaigo shall manage and store private information under a strict control system, making every possible effort to strengthen the level of security to ensure that the information of the parties in question is not lost, destroyed, falsified or divulged to third parties. (2) When being supplied with private information, Sakura Kaigo shall take precautions against illicit access by third parties by encrypting information through the Secure Sockets Layer (SSL) scheme or other means, in striving to maintain safety within a rational sphere. (3) Sakura Kaigo shall not assume responsibility in the rare event of damages suffered by the parties in question or third parties as a result of illicit actions by hackers or others that exceed the sphere of the security measures in force. Sakura Kaigo shall establish private information protection inquiries desk managers, who will respond to consultations, questions and other matters pertaining to private information in the possession of Sakura Kaigo. General Administration Division, Sakura Kaigo (Thailand) Co., Ltd.
copyright © 2013-2017 Sakura Kaigo (Thailand) Co., Ltd. All Rights Reserved.